Thank you for having me here. Since Spy, Interrupted: The Waiting Wife is an international romance and thriller, I thought we could have fun by following the dashing hero Stephen, and the love of his life, Nina, during their tumultuous stay in New Delhi, my hometown. Disclaimer: I do not endorse (nor am I connected with) any place, shop, tourist spot or restaurant mentioned below. 5. Stephen and Nina would have enjoyed a nice Tibetan meal at Yeti in Hauz Khas Village, New Delhi where they would have eaten Aloo Momo, Chickpeas in black sesame, Yeti special thukpa and Buff with onion. They would also have walked (hand in hand, of course) in the romantic alleys lined with art galleries in Hauz Khas Village. 4. Nina and her best friend Amy would have shopped at the street vendors and stalls in Janpath and eaten Masala dosa and idlis at Saravana Bhavan. 3. The photographer who was blackmailing Stephen would have followed Nina and Amy around as they visited India’s White House, Rashtrapati Bhavan and other sights. 2. Stephen’s nemesis Zia Akhtar would have watched Nina from a distance and smiled while she was touring Jama Masjid with Amy. 1. To cheer up Nina who was worried sick about his safety, and knowing how much she loved flowers, Stephen would have planned a long walk in Lodi Gardens followed by dinner at an incredibly romantic restaurant while, unbeknownst, the creepy photographer clicked away from behind a tree. And to get you excited about Stephen and Nina’s thrilling adventure in New Delhi, here is a little excerpt. Amy, Nina’s best friend and Stephen-skeptic, meets Stephen for the first time after he is almost crippled in an ambush. She is unhappy that he is dragging Nina along with him while he hunts the villains all across South Asia. Even though Stephen smiled, he managed to be distant. Amy had tried her best to dissuade Nina from marrying him. But it was important to Nina that he and Amy get along, and he was determined to be at his most charming. What a nice couple. The sight of Stephen and Nina together touched Amy. He was thinner than the last time she had seen him, but he looked well, very proper in a white shirt and dark pants. And he was a totally different person when he looked at Nina. His mouth relaxed involuntarily into a soft smile, and his prim lips were released from their prison. A sweetness suffused his eyes and face, and he always seemed on the verge of bending down to kiss her. Nina was the exhibitionist of the two and clung to him with her arms around his waist, grinning from ear to ear as though she had just won the lottery. She was dizzy with relief each time he returned from a trip, and grateful that he was unhurt and had come back safely from whatever dangerous errand he had been on. The next day Nina took Amy to see the glories of Delhi’s Mughal architecture. The warmth of the winter sun had seduced the denizens of Delhi to skip whatever they were supposed to be doing, to go and laze in the sunshine on the acres of green lawns. The rowdy crowd drank tea and ate roasted peanuts, gossiped, chattered, and laughed. They looked curiously at the group of four—Nina, Amy, and the two brawny security guards—and wondered if Nina or Amy were a movie star or a VIP to merit such security. But when the girls didn’t meet their expectations, they lost interest. At Jama Masjid, however, a young man with an impressive camera followed them, undeniably interested in them. They sat inside, on the steps of the vast interior courtyard. Hundreds of pigeons roosted there, wagging their behinds as they waddled as fast as their little legs could carry them. A bearded old man watched the girls from a distance and smiled. 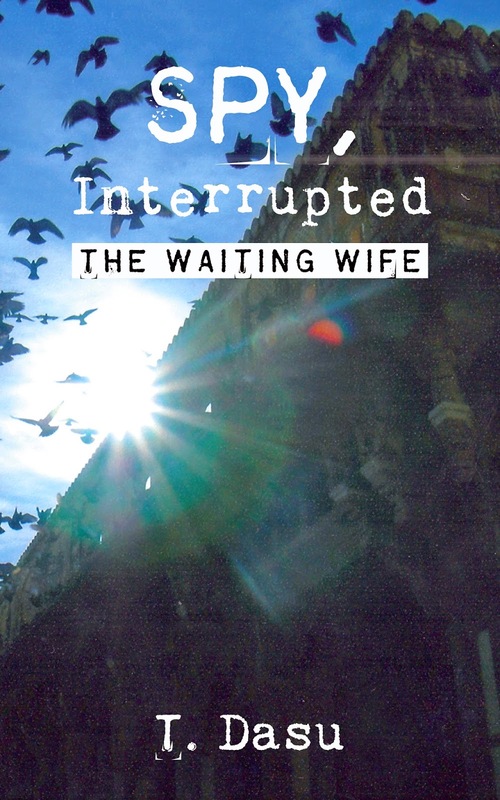 Excerpted from the book SPY, INTERRUPTED: THE WAITING WIFE by T. Dasu. Copyright © 2015 by T. Dasu. Reprinted with permission of IndiaWrites Publishers, Inc. All rights reserved. Marriage is a match for life. But what happens when that marriage is built on deception? After a whirlwind romance and a clandestine wedding that shocks friends and family, Nina thinks she’s settling into a quiet, normal life with her husband, Stephen. 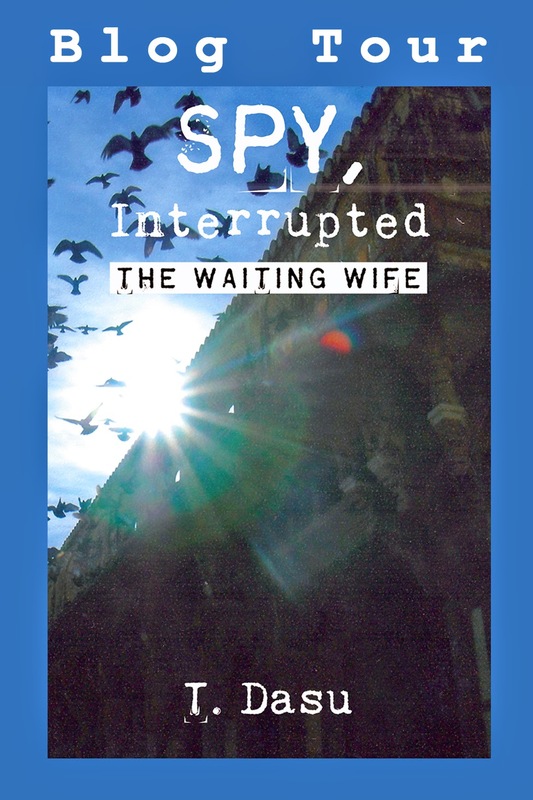 Little does she know of the violent alter ego that lurks behind Stephen’s mysterious calm—or his ulterior motive for marrying her in SPY INTERRUPTED: THE WAITING WIFE by T. Dasu (IndiaWrites Publishers, Inc.; Paperback $10.92).